We are a book publishing company in Oklahoma, always looking for new authors. “I can burn a city down.” So declares the Internet poster #ARMAGEDDON. Ironton, N.J. Detective Frank Nagler wonders: Is this guy for real, or just someone playing a twisted game? It has been two years since Detective Nagler exposed the political corruption of Ironton, N.J. Now it’s Nagler who finds himself with a target on his back. Someone is trying to kill him, and anyone close to him. When a break-in at the local college leaves two women brutally beaten, and Nagler’s close friend, Leonard, is targeted Nagler finds himself wondering are these events connected, and how does a video game that has taken on a real-world life on campus tie them together? 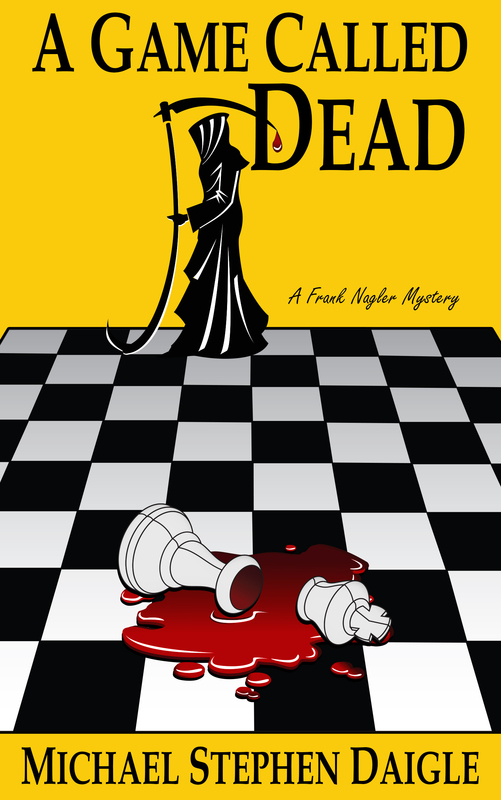 Who really is in control of what the students call…A Game Called DeadCheck back soon for more information on the second Frank Nagler novel! All rights to the books published by Imzadi Publishing, LLC are reserved. No part of these books may be reproduced or transmitted in any form or by any means, electronic or mechanical, including photocopying or recording, without permission in writing from the author. Scanning, uploading, and distribution of any of Imzadi Publishing, LLC’s books via the Internet or by any other means without permission is illegal and punishable by law.